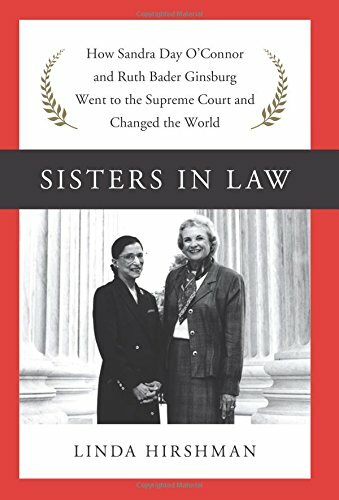 NPR Best Book of 2015 NEW YORK TIMES BESTSELLER WASHINGTON POST BESTSELLER The author of the celebrated Victory tells the fascinating story of the intertwined lives of Sandra Day O’Connor and Ruth Bader Ginsburg, the first and second women to serve as Supreme Court justices. The relationship between Sandra Day O’Connor and Ruth Bader Ginsburg—Republican and Democrat, Christian and Jew, western rancher’s daughter and Brooklyn girl—transcends party, religion, region, and culture. Strengthened by each other’s presence, these groundbreaking judges, the first and second to serve on the highest court in the land, have transformed the Constitution and America itself, making it a more equal place for all women. Linda Hirshman’s dual biography includes revealing stories of how these trailblazers fought for their own recognition in a male-dominated profession—battles that would ultimately benefit every American woman. She also makes clear how these two justices have shaped the legal framework of modern feminism, including employment discrimination, abortion, affirmative action, sexual harassment, and many other issues crucial to women’s lives. Sisters-in-Law combines legal detail with warm personal anecdotes that bring these very different women into focus as never before. Meticulously researched and compellingly told, it is an authoritative account of our changing law and culture, and a moving story of a remarkable friendship.